The DJ Jeff Mills, inventor of the Detroit Techno sound back in the late 80s, is one of the planetary superstars of techno. However, the man is more complex than he first appears, embodying an artistic ambition which reaches far beyond simple techno music and into electronic music, leagues ahead of his fellow DJs. Part of the glorious history of electronic music, Jeff Mills is also fascinated by other forms of Art. The previous years saw him create music for films : “2001, a Space Odyssey”, “Metropolis”, Buster Keaton’s “Three Ages”, “Lost World”, “Fantastic Voyage”, “Berlin a symphony of a great city”, “October”, “Etudes sur Paris”, “Woman in the Moon” and more. Other Art projects include the sound environment of the exhibition “Diaspora” at the Musée du Quai Branly in Paris, “Mono“, a sculpture-installation dedicated to “2001, a Space Odyssey” at the Sonar Festival in Barcelona, “Star Children” (New Form Festival, Vancouver), “Oneness” with Dancer Emmanuelle Huynh (Tokyo and Paris), “The Gateway” with dancer Raphaëlle Delaunay (Marseille), “Chronicles of Possible Worlds” (at Fondation Vasarely in Aix-en-Provence), “Man from Tomorrow” a film by Jacqueline Caux, the music to “Planet of Insects” a dance project by Akaji Maro, presitigious collaborations with La Cinémathèque, La Cité de la Musique, Le Centre Pompidou, Le Louvre (a five-month residency in 2015), La Philarmonie in Paris, The Royal Festival Hall in London during Meltdown Festival, the Eye Film Institute in Amsterdam, the Glasgow and Paris Film Festivals and a performance at the all-night contemporary Art event “La Nuit Blanche” before more than 20,000 people. Mills was the first DJ to collaborate with a symphonic orchestra. It all began with the Montpellier National Orchestra, directed by Alain Altinoglu, in 2005 at Le Pont du Gard, France. The piece was called “Blue Potential” and was arranged for orchestra by young French composer Thomas Roussel. A DVD was released. In September 2012, Jeff Mills played a new version of this orchestral project, now called “Light from the Outside World”, to a sold-out Salle Pleyel in Paris with L’Orchestre National d’Ile de France, conducted by Christophe Mangou. “Light from the Outside World” includes Mills’ classics as “The Bells” or “Sonic Destroyer” adapted by Roussel. In 2013, Jeff Mills presented a new piece called “Where Light Ends”. French composer Sylvain Griotto is the arranger; the project premiered in St Brieuc and Rennes, France in October 2013, with l’Orchestre Symphonique de Bretagne conducted by Darrell Ang. The piece was also performed with L’Orchestre National d’Ile de France in Paris and Ile-de-France region in November and December 2014 in a programm also including Tchaikovsky’ “Pathetic Symphony”. 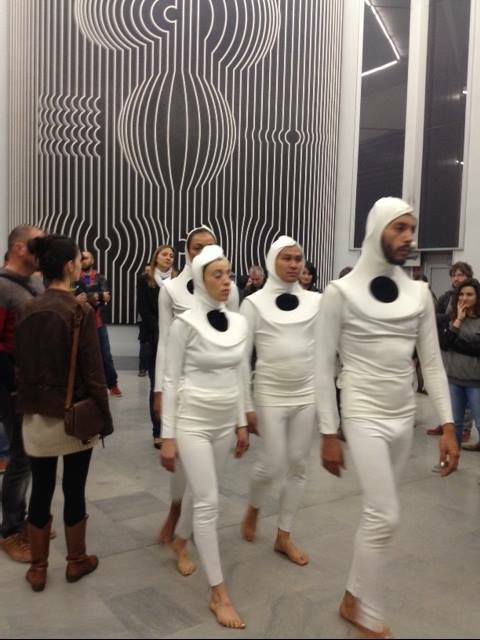 A third project, inspired by Holst’ “The Planets” premiered in July 2015 at Casa da Musica in Porto and was played for a whole week in Lille, France in December 2015. “Where Light Ends”, “Light from the Outside World” and “Planets” are available for concerts. All the performances for Jeff Mills and Symphonic Orchestras have always been sold-out shows. Here is a video from Where Light Ends in Rennes, Oct 2013. Close Encounter Of The Fourth Kind is a full sensory experience that explores the sensation of entering and existing in another reality – a different time and space. 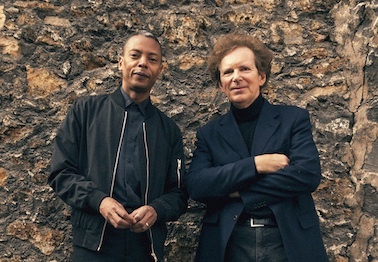 Techno Producer and DJ Jeff Mills and Lighting Designer Guillaume Marmin team up to collaborate on a one-of-a-kind experience. 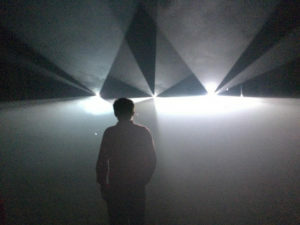 The creation of a sound and lighting installation and dance event that explores the senses of being connected to “something” other than human. “Seeing is believing”, so the concept is based around the various exotic designs of Marmin’s special lighting work. From light to dark and everything degree in between, his objective is to take the audience away from what they recognize into a new and different type of atmosphere. 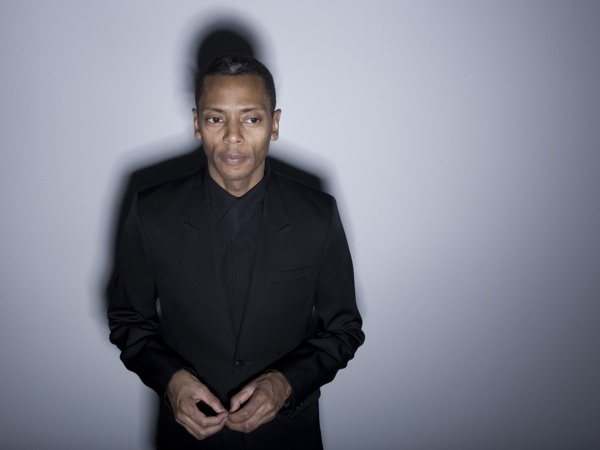 With music composed and designed especially for this event, Jeff Mills explores the various possibilities of the concept in 5 hours of live and DJ programming. Close Encounter Of The Fourth Kind premiered in Paris in September 2016 to 5000 enthusiastic fans. Jeff Mills joins with Emile Parisien a young soprano sax player to pay a tribute to the great John Coltrane. Incredible mix of electronic and jazz music. This project premiered in Paris in September 2016 for a show filmed by Sourde Oreille. Watch the film here. Jeff Mills will be touring Europe in May 2017 with “Spiral Delux”, a live band: Gerald Mitchell (U-R, Los Hermanos) on keyboards, Yumiko Ohno (Havana Exotica, Buffalo Daughter) on keyboards and Kenji Hino on bass. This will be a live mix of techno, funk, jazz, disco… with amazing musicians. With live visuals too. The fun can also continue with a DJ set by Jeff. The first release from the Axis Audiophile Series. 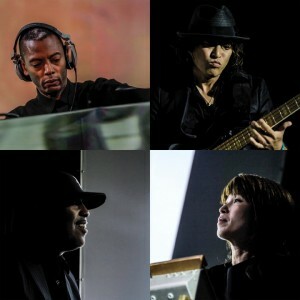 Jeff Mills has formed an electronic jazz fusion band and this 12″ is a recording of their recent performance in Kobe during the TodaysArt.JP Festival. Mills manages the decks, drums and percussion and is joined Detroit legend and Underground Resistance stalwart Gerald Mitchell (Los Hermanos/Galaxy 2 Galaxy), keyboardist Yumiko Ohno and bassist Kenji Jino. “Eventide” has the same kind of urban, uplifting soul as anything Kaidi Thatham or Mark de Clive-Lowe have made and isn’t bad at all! On the flip “Happy Gamma Ray” features uplifting keys and emotive chords backed by funk bass and one of Mills’ unmistakeable 909 drum machine workouts. It really seems that there’s no limit to this Motor City legend’s creativity which has spanned nearly 30 years and we’re excited about this new chapter in the Wizard’s sonic universe. This incredible double-bill saw the Wizard meet with the inventor of Afro-Beat, drummer with Fela in the 1970s. The first show took place in small jazz club in Paris and blew everybody’s minds of course. Watch the film here. “Space is our destiny so let the punishment begin”. Jeff Mills presents “The Trip“. Fascinated by science-fiction cinema, Jeff Mills pursues his work on images started in 2000, and offers a sound and image mix, inviting the audience to a fully sensorial experience. “The Trip” explores the subject of how humans will endure the mental and physical constraints of traveling through Outer Space in order to discover the unknown. Mixing live more than fifty of science-fiction movie extracts (from 1920’s to 1970’s), following the sames principles than in his musical mixes, Jeff Mills invites us to enter a pulsating atmosphere of the abnormal… Psychedelic meets electronic. In June 2014 Jeff performed a new version of THE TRIP to a packed Royal Festival Hall in London, during James Lavelle’s curated Meltdown festival. 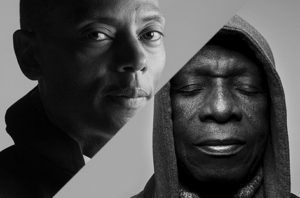 In 2015, Le Musée du Louvre in Paris gave a Carte Blanche to Jeff Mills: 4 different shows in the museum Auditorium. The most ambitious of these 4 nights was “Life to Death and Back“, a 45 minutes silent film (filmed by Mills in September 2014 in the Louvre Egyptian collection) featuring three Dancers/Pharaohs walking through the Egyptian Exhibition at Le Louvre Museum in Paris, from the Sphynx staircase towards Osiris’s crypt. This “walk/visual glance” film symbolizes Pharaohs’ descent from the stars to Life and Death – and back. 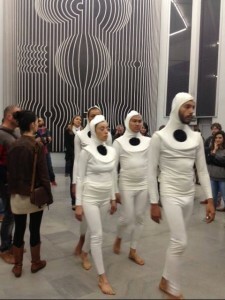 The final show at le Musée du Louvre in Paris and Lens in March 2015 was the showing of the film with dancers performing before the screen with music by Jeff Mills. Invited by Le Musée du Louvre in 2015, Jeff played electronic music with the renowned classical pianist Mikhail Rudy. An exceptional collaboration, unheard of. Mills and Rudy now collaborate with visual artists Arotin & Serghei. This is another of the projects specially created for Le Louvre in 2015: a spoken-word, film and music collaboration with French SF writer David Calvo inspired by the 1920 silent movie “Wunder der Schöpfung”. Jeff Mills, a self-declared SF fan and collector of classic pulp science fiction, composed an electronic score for Lang’s masterpiece “Metropolis” (1927) in 2000. “Frau im Mond” (“Woman in the Moon“), Fritz Lang’s last silent movie, is hailed as the first ‘serious’ SF film. The godfather of rocket science, Hermann Oberth, was consulted by Lang, who came up with the concept of the countdown (10-9-8…2-1-0). Scientifically spot on, the movie looks brilliant too. Lang used state-of-the-art (for 1929) modernist design for the scenes shot at the protagonist’s apartment and the launch of the Moon rocket is visually and conceptually stunning, using innovative modeling as well as crane shots. Mills plays the soundtrack (with percusionist Cristian Sotomayor) to ‘Etude sur Paris‘ by André Sauvage. The film is a rare and astonishing film where documentary meets poetry on a trip around Paris in the early 1920s. Jeff Mills premiered the cinemix in June 2012 at the pretigious Paris Cinema Festival. Rather than Mills’ usual forte of outer space or the distant future, “Fantastic Voyage” is set within the human body. The film’s crazy plot runs something like this: in the midst of the Cold War, the US and the Soviet Union develop technology to dramatically miniaturize objects or people for temporary periods of time. After an assassination attempt leaves a key scientist comatose, the US puts a group of operatives inside a submarine, shrinks them down and injects them into the scientist’s body to repair his potentially fatal blood clot. Breathtaking adventures ensue. 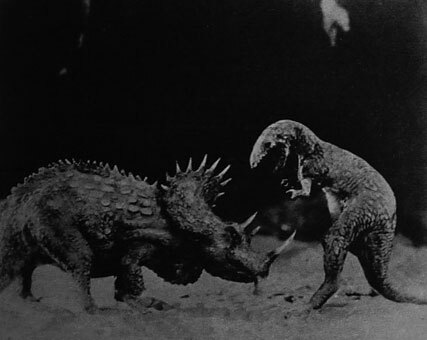 The Lost World is a 1925 silent fantasy adventure film and an adaptation of Arthur Conan Doyle’s 1912 novel of the same name. The movie featured pioneering stop motion special effects by Willis O’Brien (an invaluable warmup for his work on the original King Kong). 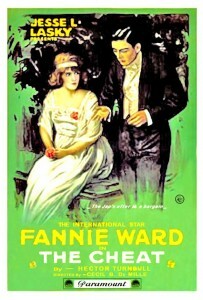 In 1998, the film was deemed “culturally, historically or aesthetically significant” by the Library of Congress and selected for preservation in the United States National Film Registry. Jeff’s version premiered on the banks of the river Seine during Paris Film Festival in July 2014. What has you learned from doing the “Metropolis” soundtrack? A society woman’s plans to make easy money backfire and she turns to a Burmese businessman for help. He agrees to give her the money she needs… for a price. Excellent melodrama that showcased Sessue Hayakawa’s talents to the world. A major smash hit in 1915 and the film that really put Cecil B. DeMille on the map as a director of premium entertainment. The first show for “The Cheat” by Mills was at La Cinémathèque de Paris. 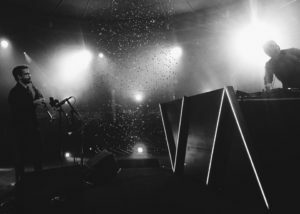 Jeff Mills composed and performed the soundtrack for the Sergej Eisenstein film retrospective at the Cinematheque de Francaise in Paris in 2010. 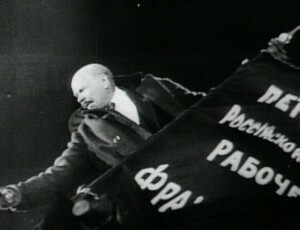 “October” is more than a film, its history captured by the brilliance of Eisenstein. 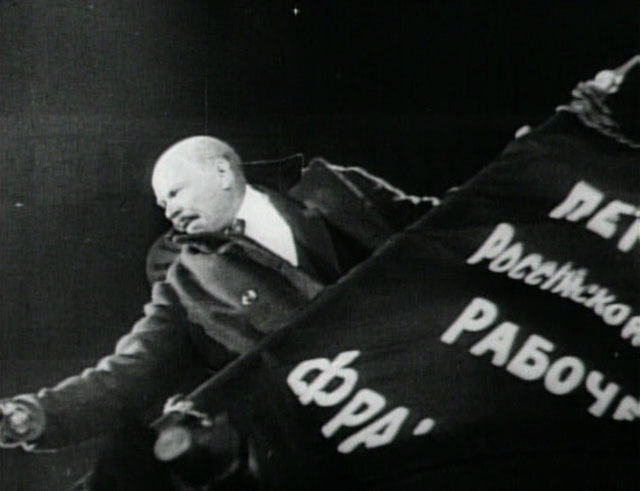 Filmed during the actual Russian Revolution, many film sections capture history in the making. As a “city symphony” film, “Berlin, Symphonie einer Großstadt” (1927) portrays the life of a city, mainly through visual impressions in a semi-documentary style, without the narrative content of more mainstream films, though the sequencing of events can imply a kind of loose theme or impression of the city’s daily life. It is very significant that in watching this film today that it is watched not for its onetime artistic or style value but as a type of filmed “time-capsule” an invaluable historical filmed record of the great city of Berlin in the mid to late 1920’s which no longer exists today. Over 30% of central Berlin was leveled at the end of world War II changing the face of old Berlin forever. Jeff’s cinemix premiered at Bozar in Brussels in September 2015. Here Jeff talk about this projet. 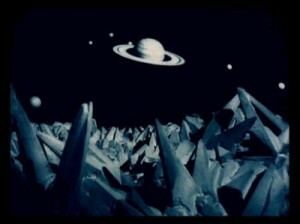 – “2001 The Midight Zone” an hommage to Stanley Kubrick. It premiered at Philarmonie de Paris in May 2015 with five dancers and video.